I will admit it, I have been a huge fan of Apple products. I’ve admired the sleek designs ever since I bought my first Mac, a G4 Titanium PowerBook, in the Spring of 2003, I bought the 1.5 Generation iPod two days later. FANBOY! I fell in love with both devices. But those feelings were probably related to my frustrations with existing PC options and a Sony Discman I used to listen to on my way to classes (yes, a Discman). The problems I had with my laptops, until I purchased macs were extremely frustrating. I bought my first laptop the summer before I started college. Mind you this was in the era $1,000+ entry-level laptops. It’s crazy to think, now you can purchase an entry level laptop/netbook for $200. $1,000 bucks for small hard drive, a terrible display, low RAM (256 MB? ), a 56k modem, no LAN, lots of plastic. Price aside, the laptop stopped working that very first day. I spent hours spent on the phone with customer service and the laptop made multiple trips back and forth via FedEx to their Tech Center. I had heard of this thing called a Genius Bar, where you go drop off your Mac and they fix it for you. That was it. The folks at the Apple Store seemed to have it down; they were informative and they were smarter than your average Best Buy representative. I wasn’t convinced, yet, but it was intriguing. Fast forward a few months later, another virus, I was frustrated and wanted to throw the thing out the window. So, I bought my first Mac computer and I haven’t looked back ever since. I’ve converted a lot of users too. I was on my own mission to make sure all my friends and family used Macs. I felt I was pretty successful. I’ve been quite happy with each new version of the latest iMac, MacBook Pro, iPhone, iPad that I’ve purchased over the last decade. I’ve been as loyal an Apple Fanboy as that term can allow. “Apple is the best” mantra stood true for me, because by most accounts it was the truth. The user experience, the features, the ecosystem, it WAS all competitive advantage over anything else on the market. I use the word “was” and past tense, because I feel that a lot of what made Apple was its ability to stay ahead and blow away people. The iPhone 5 did not fit that mold. The way I perceived Apple’s place in the market was to come up with something smart and great or at least something that could improve upon an existing technology to set it apart from the competition. Past Tense. My fear is that Apple is losing its competitive edge. Steve Jobs ran a tight ship and, whether you love or hate his management style, the man knew how to deliver great products. Was Steve Jobs the missing catalyst that propels creative product manufacturing at Apple? Jobs’s presence (as volatile as most seem to believe) lead to amazing products, especially his second time around. This is not to say the current leadership cannot deliver great products, but the computer/electronics industry has is leveraging a lot of Apple’s production development characteristics. Heck, even Microsoft has decided to jump in to product design to deliver a fully integrated device. I know that as I write these words, Apple is figuratively printing money after the launch of iPhone 5. 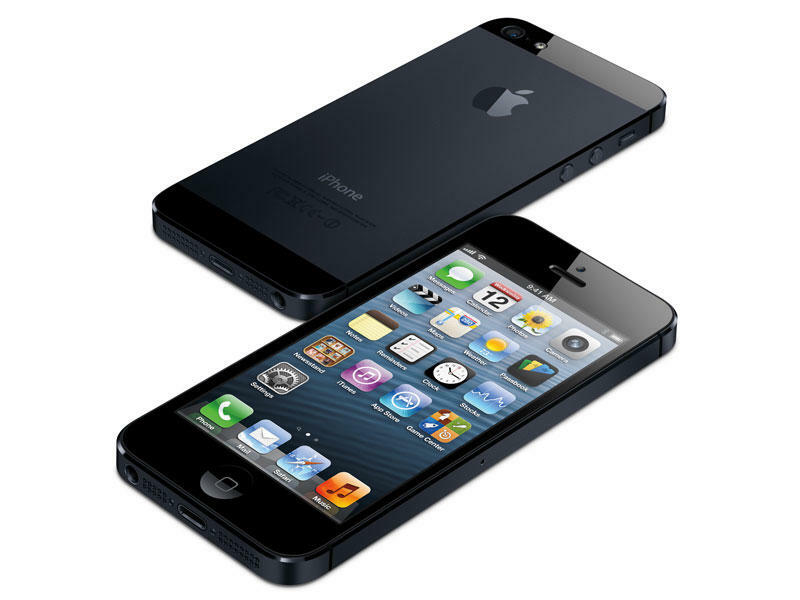 They may sell 250 million iPhone 5 units, as one analyst has predicted. I’m sure this phone will sell in very high quantities, heck several carriers are already pushing back pre-order delivery dates. My worry is whether we will see great improvements in future products. We already saw how un-secretive the development process has become with more and frequent, and might I add, accurate leaks months in advance of the announcement. This is troubling to me because it’s degrading what Apple once stood for. Apple may have led the class with the best products no one else could touch, but this time around it appears in a lot of ways that Apple just met the bare minimum. By all accounts, watching the announcement and looking at the current offerings that the iPhone 5 is compared to (not to mention the hundreds of other devices that will be released in the next year), I’m a bit worried about obsoleteness. In previous iterations of the iPhone, the only viable competitor was a newer iPhone. This time around, I feel my Galaxy SIII surpasses the iPhone, and that’s already been out on the market for months. I always felt iOS had an edge over Android by leaps and bounds. That is, until I got my hands on Android Jelly Bean. This changed my perception entirely on the platform. A lot of those annoying things that I felt were lacking seem to have gotten better, if not resolved. But I feel a lot of the features that Apple has shorted me on (turn-by-turn navigation, widgets, NFC) as well as improvements in Jelly Bean, help Android surpass iOS6 (Siri vs. Google Voice Search, Passbook vs. Google Now, Apple TV vs. Wi-Fi Sharing) and places iPhone lower in terms of competitive advantage. We can argue for an eternity about how much Android or iOS copied what and how much Samsung copied Apple. Frankly folks, it doesn’t matter. What does matter is that it works. Consumers, you and I alike, just want products to work well; the same reason behind how I became an Apple Fanboy in the first place. For those of you that have already planned on buying an iPhone 5, you probably will still buy the iPhone 5. I will too because A) it’s my job, B) nostalgia, C) I still have hope that I’m wrong and Apple will turn it around, D) ecosystem/network effect (I have apps and media tied to iOS), but I will also keep an Galaxy S III or a Note II close by. I’m not saying this iPhone iteration is an awful device, but I question whether Apple has the ability to maintain industry-leading innovation. Apple has historically been known for creative design and disruptive technology, signature features that are surprisingly missing this time around. It is uncharacteristic of Apple to deliver an average product. My thoughts are that these specs can be found on nearly every other mid-to-high-end smartphone on the market. So lets hope that iPhone 6 or iPhone 5S (or whatever the folks in Cupertino decide to call the next iPhone) blows away the competition. We already know Samsung is working feverishly to up Apple in the Galaxy S IV. I am not tied to a specific brand of product. I ultimately, probably like TechnoBuffalo readers, just care that my products work well without issue. Like most tech fans, we want to have the latest and greatest. So, ALL companies in turn should be toiling away to deliver products that will blow consumers away, rather than suing each other and pushing out “just OK” products.